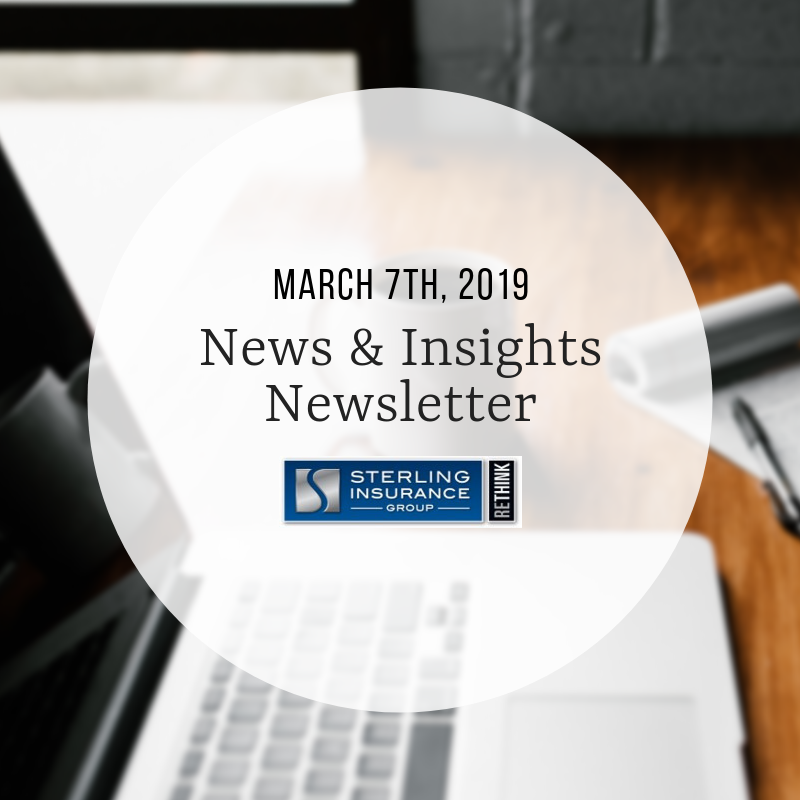 This newsletter was sent to Sterling Insurance Group clients and friends on Thursday, Newsletter: March 7th, 2019. Want to get this bi-weekly newsletter in your inbox? Email jgiffels@sterlingagency.com today to be added to our mail list. We’re grateful to be part of this exceptional organization. Learn more about ABC SEMI. Interested in having Sterling present something similar at your association, club or business? Contact us today! Sterling Insurance Group was proud to host a Cyber Liability Insurance event in Southfield, MI recently. Flip through photos now! Remember: “A cyber breach isn’t always a disaster. Mishandling it is.” No business is exempt from cyber risks – contact us today to have us present something similar to your association or business. Event announcement: Sterling’s sister branch to the North – Lappan Agency – is hosting a Marijuana in the Workplace event on March 21st. In the area? Join us! Learn more and be sure to RSVP ahead of time. #OntheBlog now: Blog: The Importance of ERISA Compliance to Employee Benefit Plans. Read through and let us know what you think! Flip through Sterling Insurance Group’s latest Risk & Business magazine now! The agency covers work safety programs, nonprofit insurance and more. Enjoy! Thanks for coming! We had a great time sponsoring the first of the CEO Series put on by the Troy Chamber of Commerce. View photos. Have you read our blog about Active Shooter in the Workplace? Does your team know what to do? Arm yourself with these tips now.